B. Thomas (Arlington, Texas, United States) on 22 September 2018 in Animal & Insect. 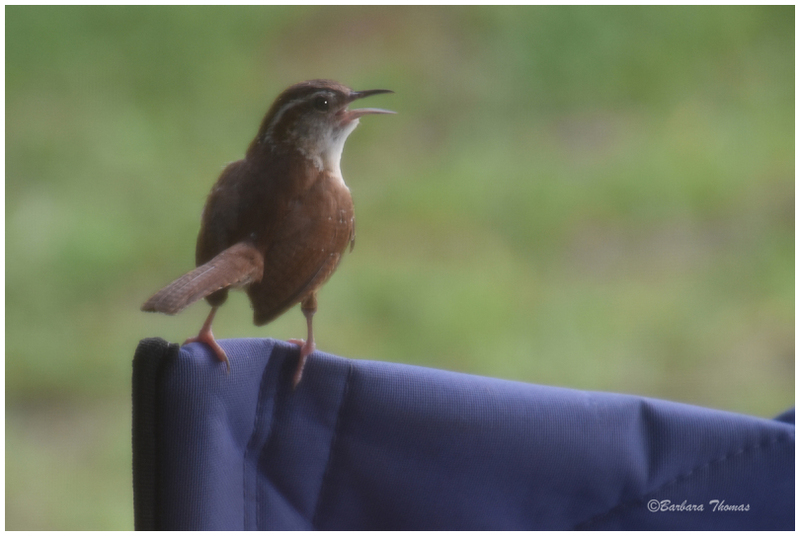 I'm not sure of the actual name for this little bird, but we always called them house wrens. It is very nice bird. hahah sitting on your chair ? Le bec ouvert quel oiseau et iamge quel pluse quei ressrot sueprbe. A fine close up of this pretty bird. Good detail and color. A real nice capture of the little Wren. Lovely one ! I like the soft mood.